This dainty Butterfly Birthstone Ring for young girls features a delicate, dazzling Cubic Zirconia butterfly. The secure setting is designed especially for the safety of children. 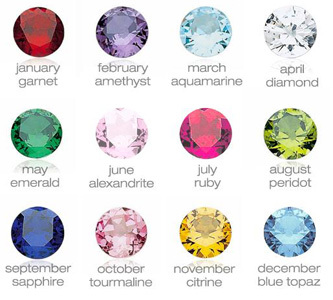 Choose your child's birth-month stone or simply a favourite colour! Available in sterling silver, 10kt yellow gold or 10kt white gold, the Butterfly Birthstone Ring is standard-sized to fit a child from about age 3 (approximate guide only). 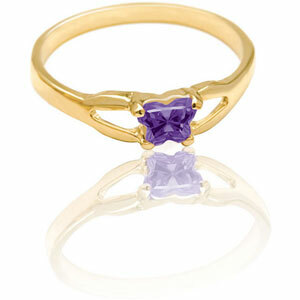 Please allow approx 3 weeks for delivery of your Child's Butterfly Birthstone Ring.